This topic contains 2 replies, has 3 voices, and was last updated by TPC_YaYa 3 months, 2 weeks ago. 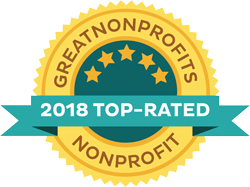 I’m new to this site, and found out about it after one of my friends researched some support groups for me (she’s pretty great for that). I’ll be 20 in a few months, and have suffered from chronic pain since I was about 12. I’ve had 3 leg surgeries for femur bone cysts, and for some reason that caused a lot of muscle and nerve problems that no doctor has been able to find the source of, and not able to fix. It feels like I’ve tried everything, which I’m sure a ton of you can relate to. I only recently began to accept that I have something seriously wrong with my body, and I’ve been feeling isolated and misunderstood. Welcome buddy. Glad to have a chat with you here. LOL! 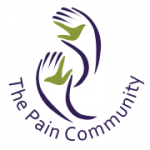 Welcome to The Pain Community, we are happy to meet you and that you found us. Living with pain is isolating and the sense of loneliness that we feel. That is why we formed The Pain Community (TPC) to give people living with chronic illness and pain a place to come and talk to others who do truly understand. An online community where you can feel compassion, support, love and part of the TPC family. We have a couple ways that you can meet others besides the discussion forums. We have hosted chats Monday-Wednesday-Friday at 11am ET, 10am CT, 9am MT and 8am PT here on the website in the group chat room. We also have support conference calls every Tuesday of the month. The call is free if you have long distance. We talk about life, pain, family and so much more.